Please enter the fields below and place your bid and a representative will be back with you shortly. “Brothers in Arms”! 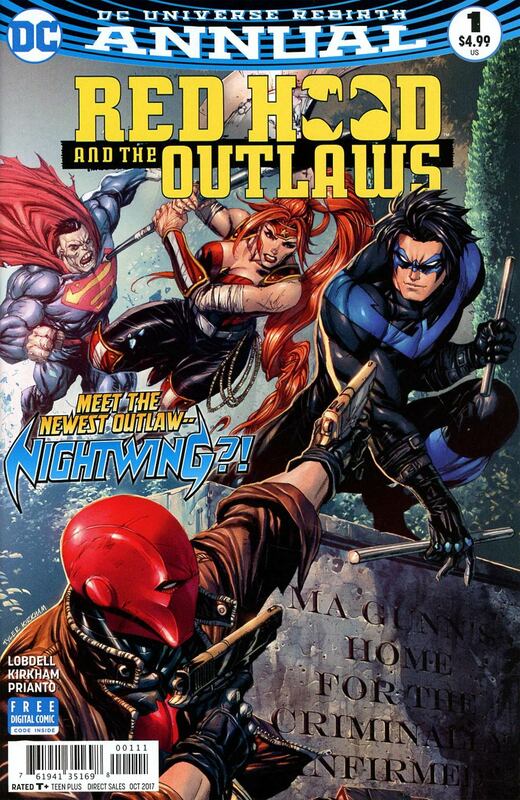 When Red Hood discovers a new wave of criminal activity in Gotham City with a traveling circus at its epicenter, he recruits Nightwing to help the Outlaws infiltrate the big top! Can the two would-be brothers put their differences aside and crack the case? Or will their division be the harbinger of their demise?